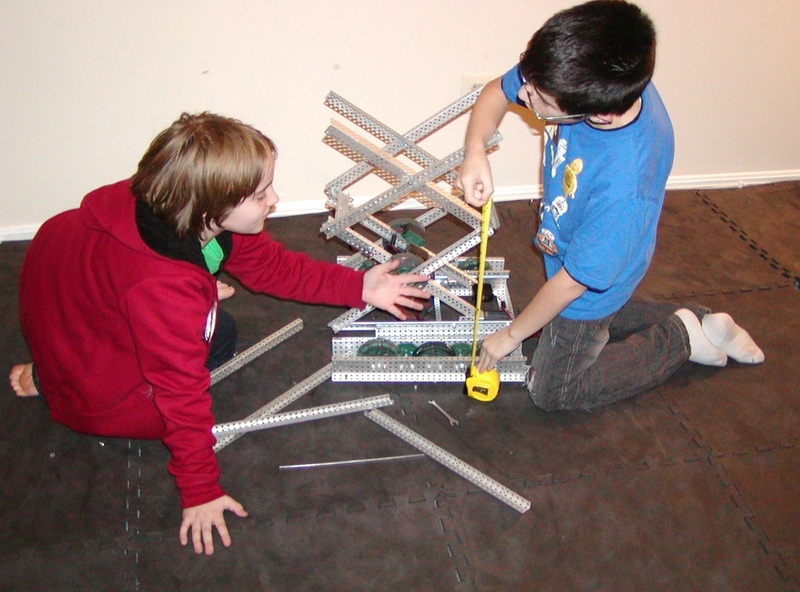 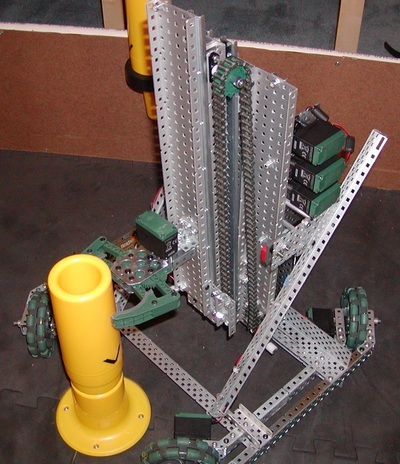 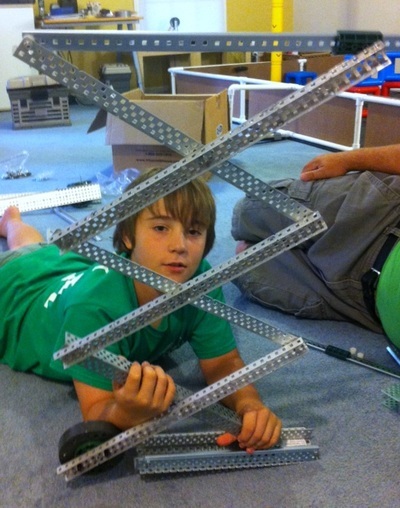 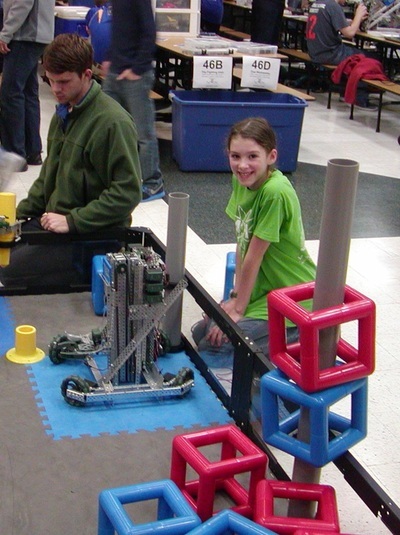 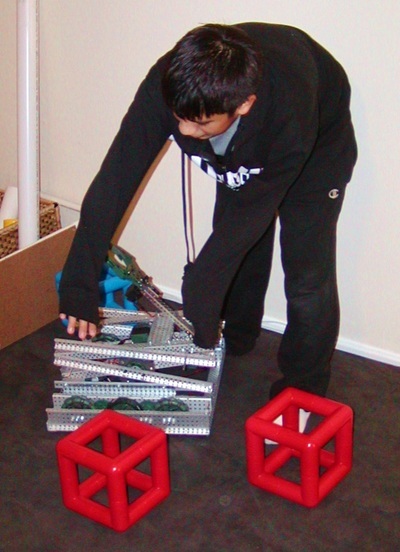 The VEX Robotics Design System offers young people an exciting platform for learning about areas rich with career opportunities spanning science, technology, engineering and math (STEM). These are just a few of the many fields students can explore by creating with VEX Robotics technology. 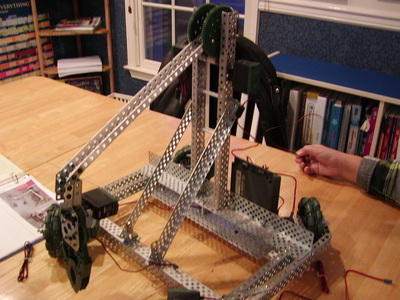 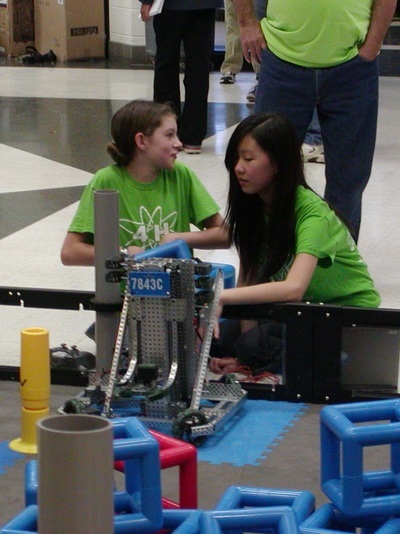 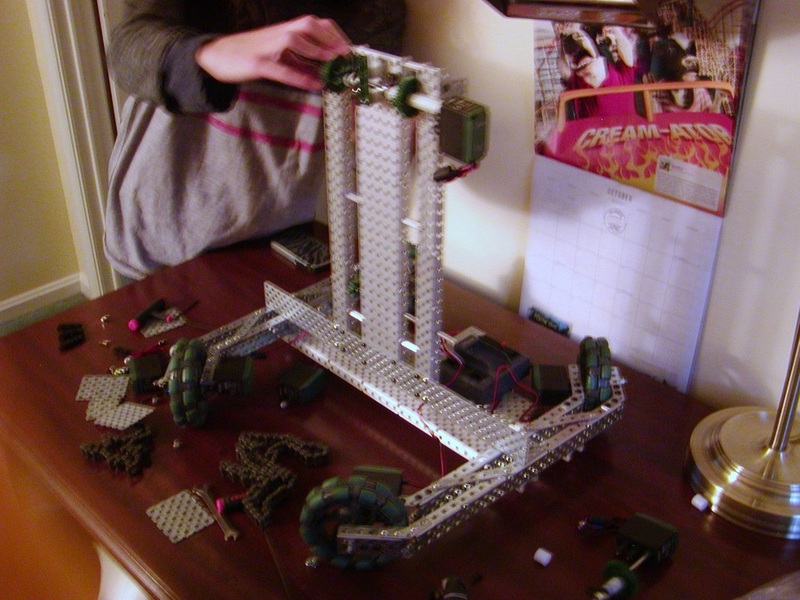 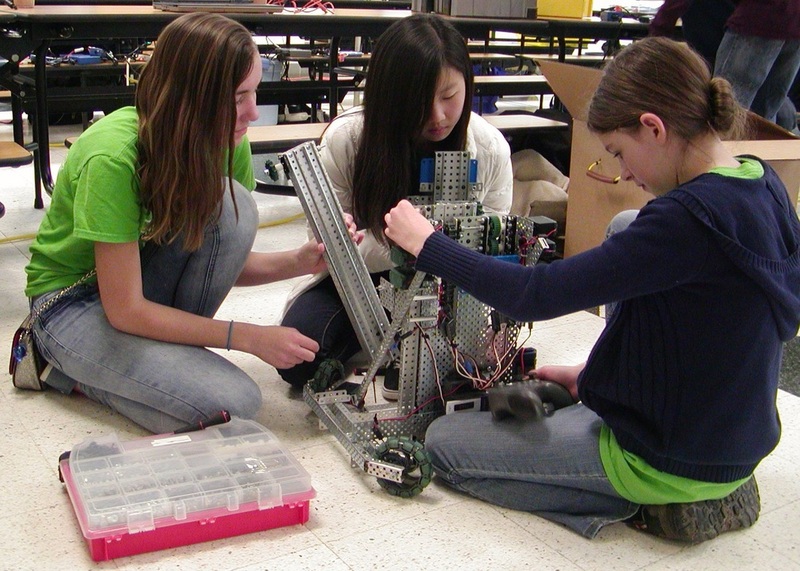 Beyond science and engineering principles, a VEX Robotics project encourages teamwork, leadership and problem solving among groups. 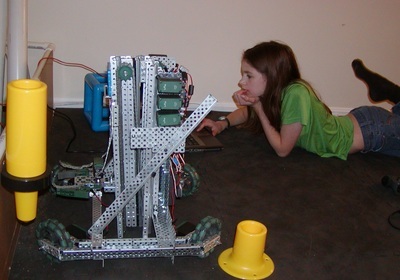 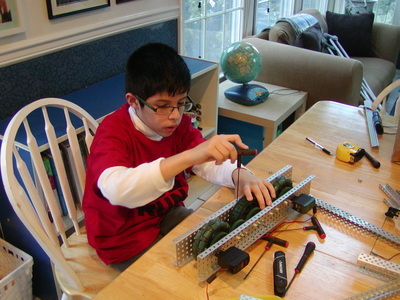 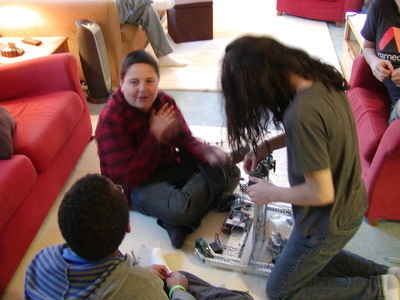 It also fun and exciting for kids who love to program and build robots. 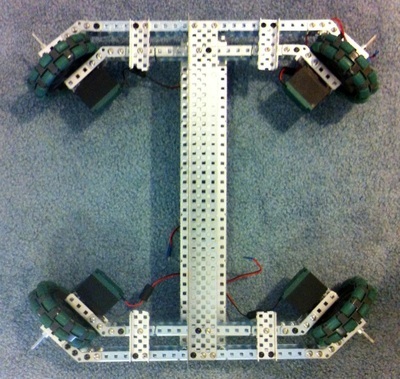 The VEX team will start meeting for the 2016-2017 season in September. 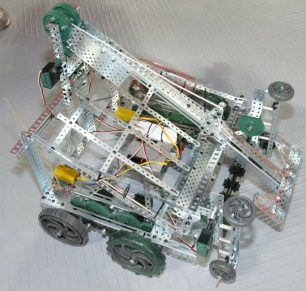 They will design, build and program a unique robot and enter the robot into competitions where hundreds of other youth will bring their own robots to play the game Starstruck! 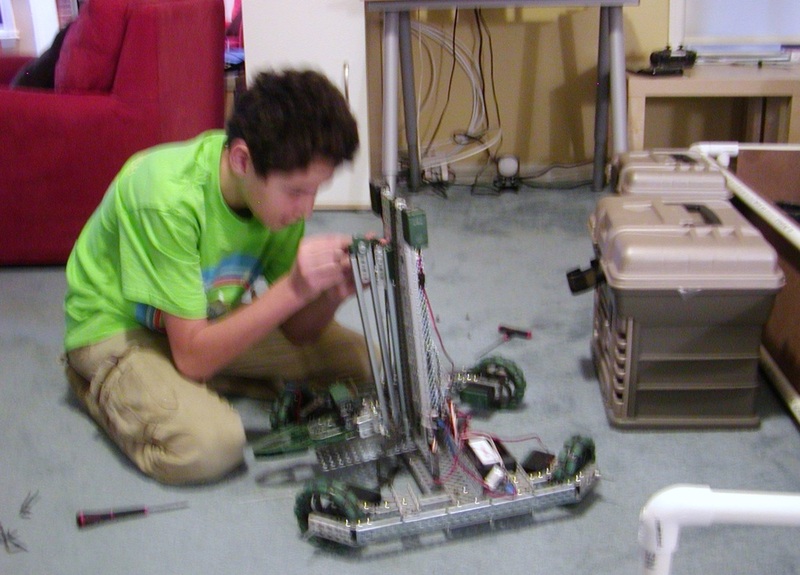 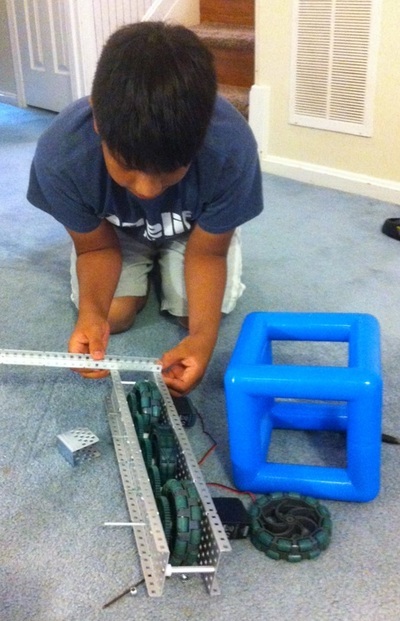 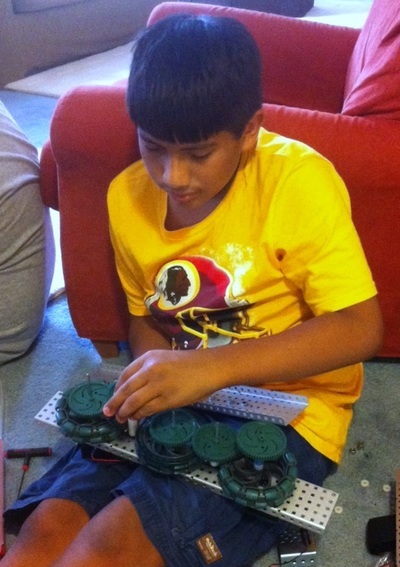 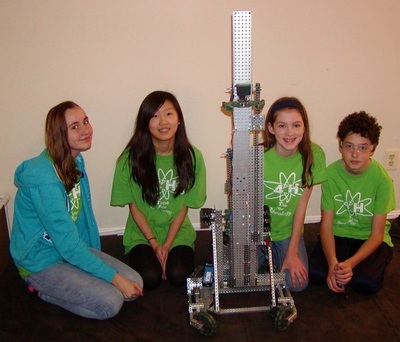 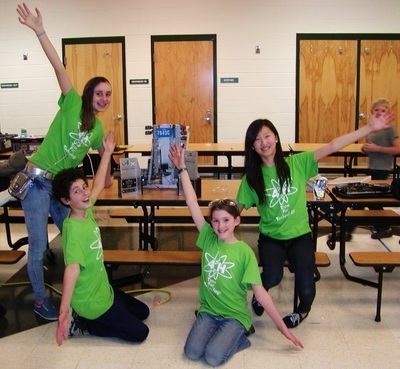 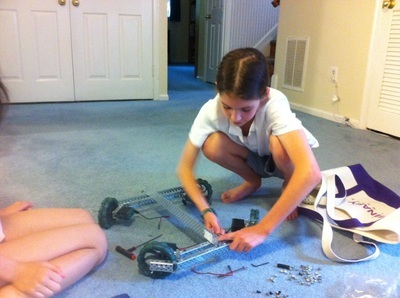 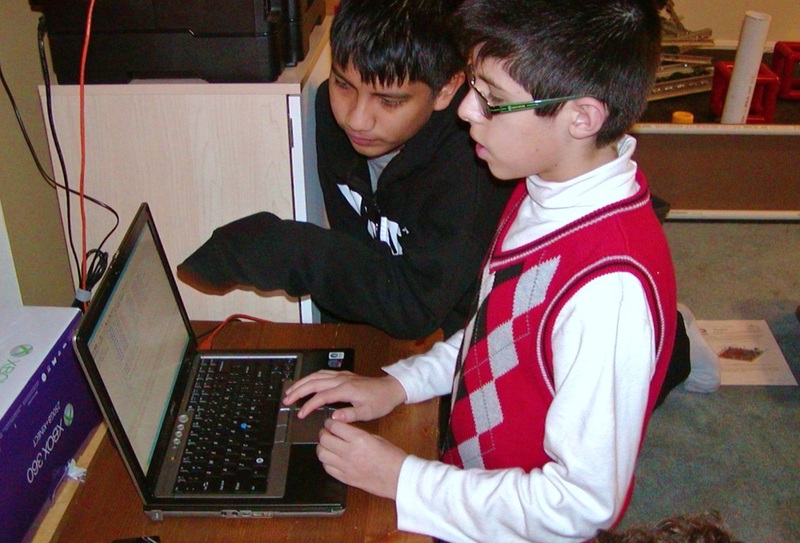 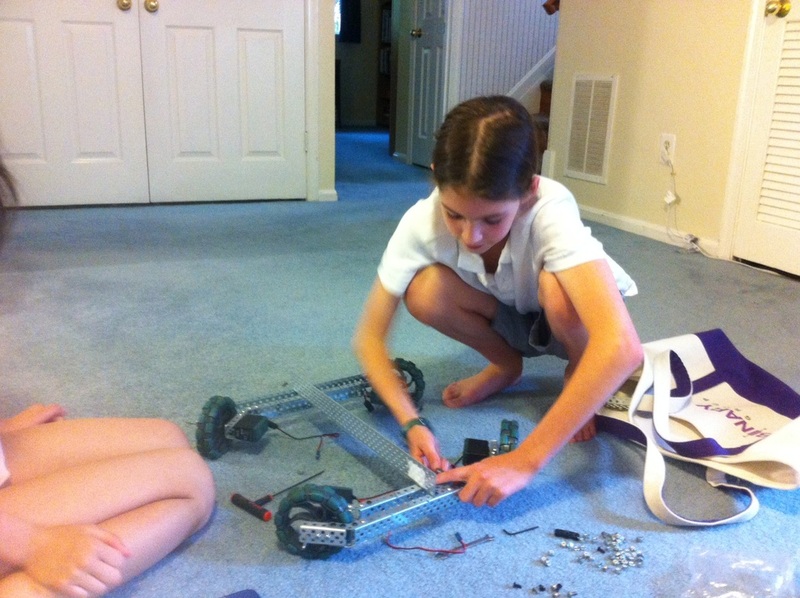 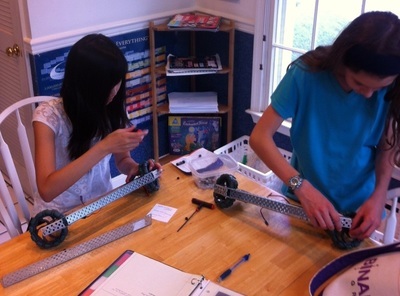 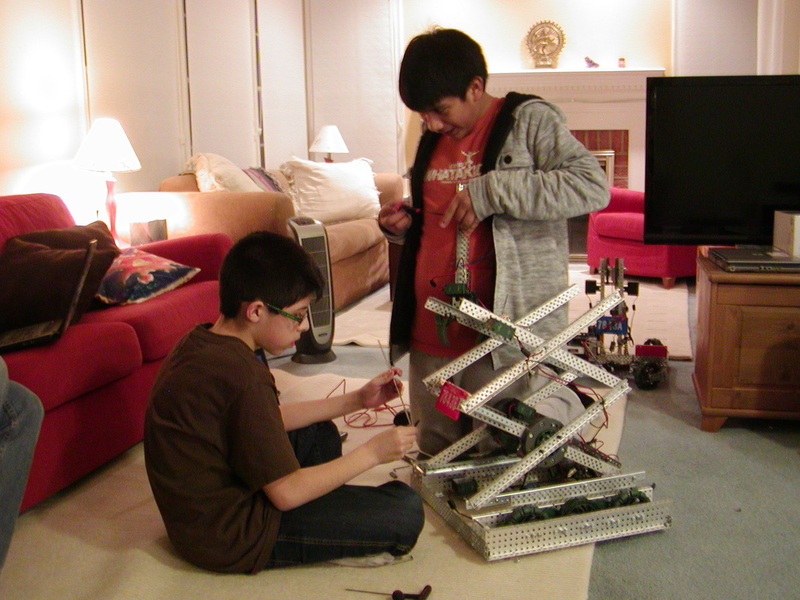 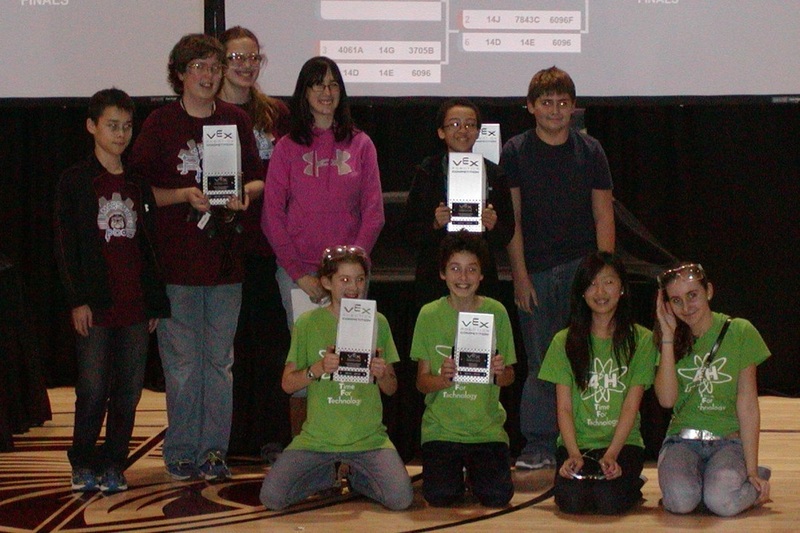 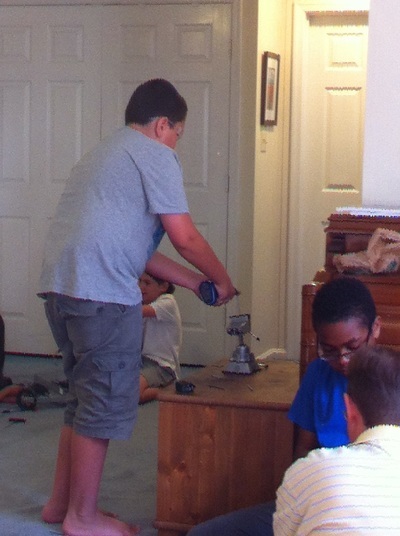 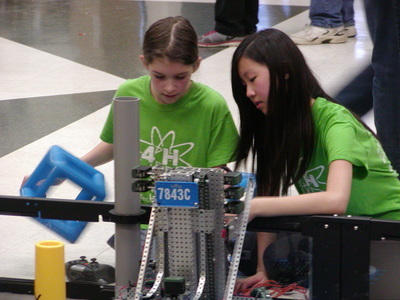 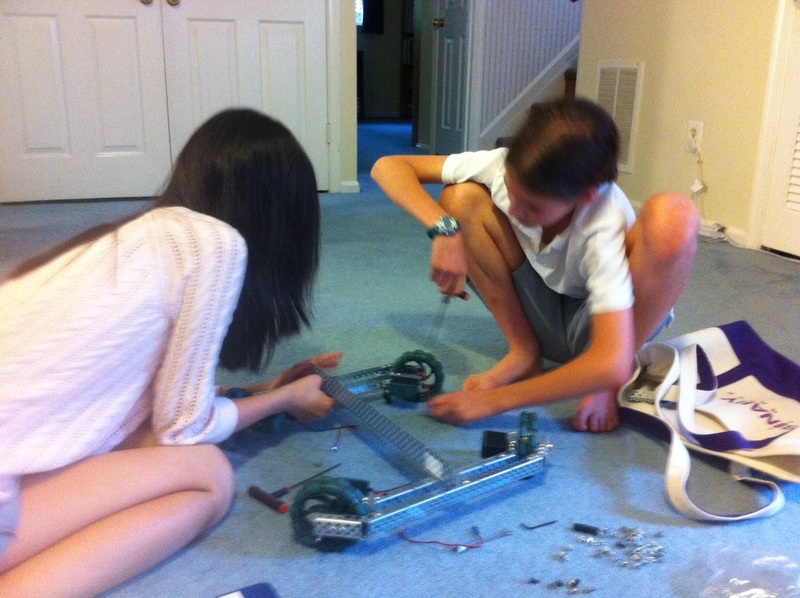 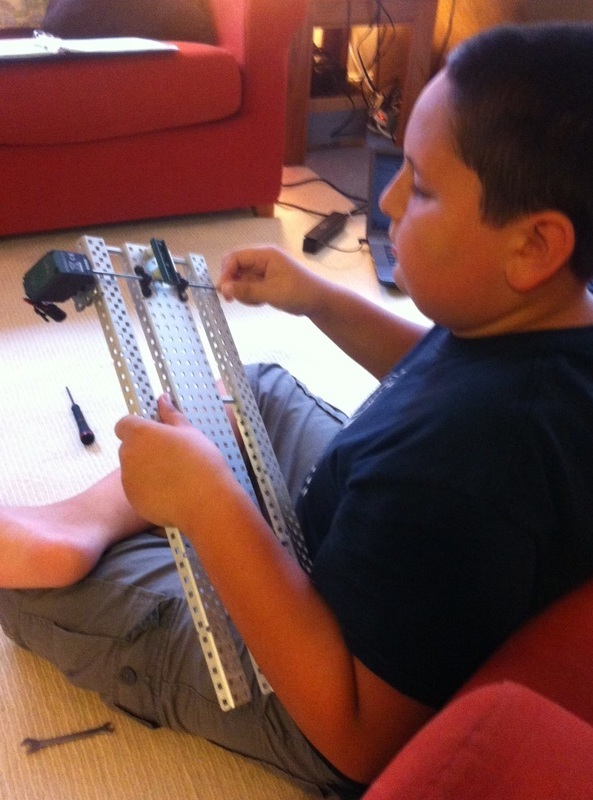 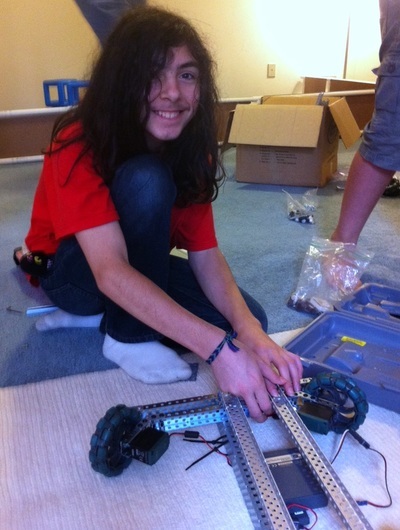 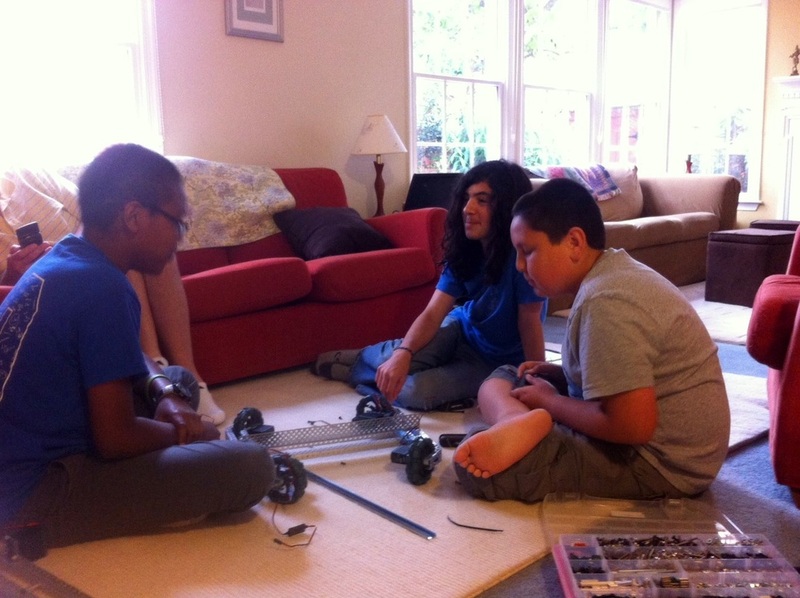 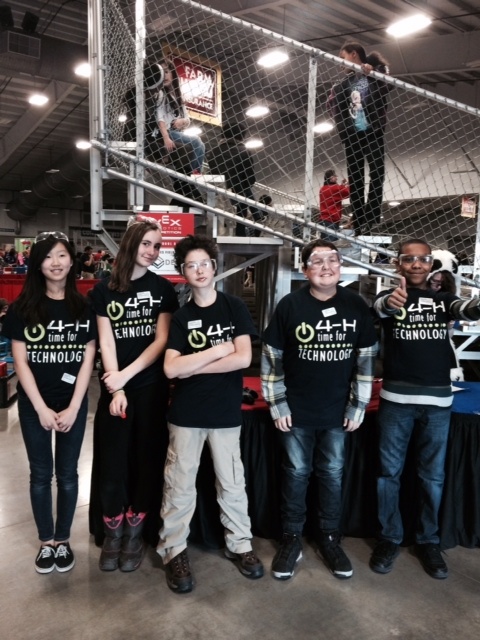 The Time for Technology 4-H Club offers members the opportunity to build and program VEX robots and VEX IQ robots. To learn how to start your own VEX team, contact us. 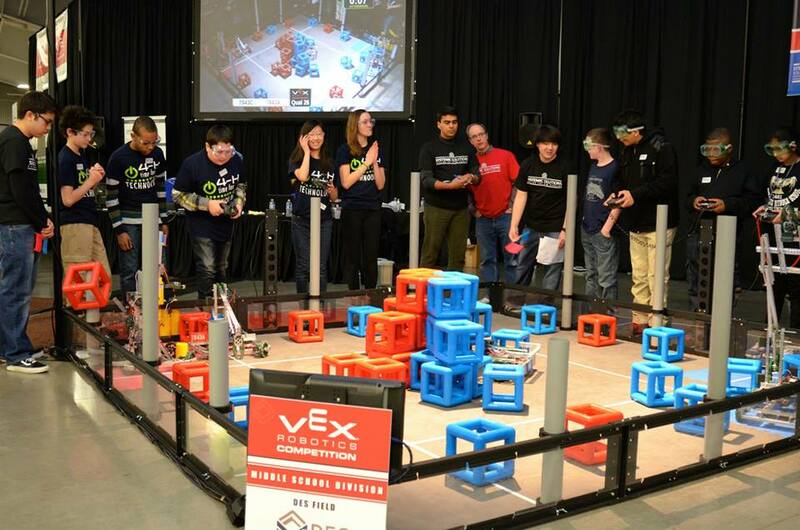 For the past three seasons our teams have won several awards and gone on to the VEX Robotics Virginia State Championships. They have also had a great time!